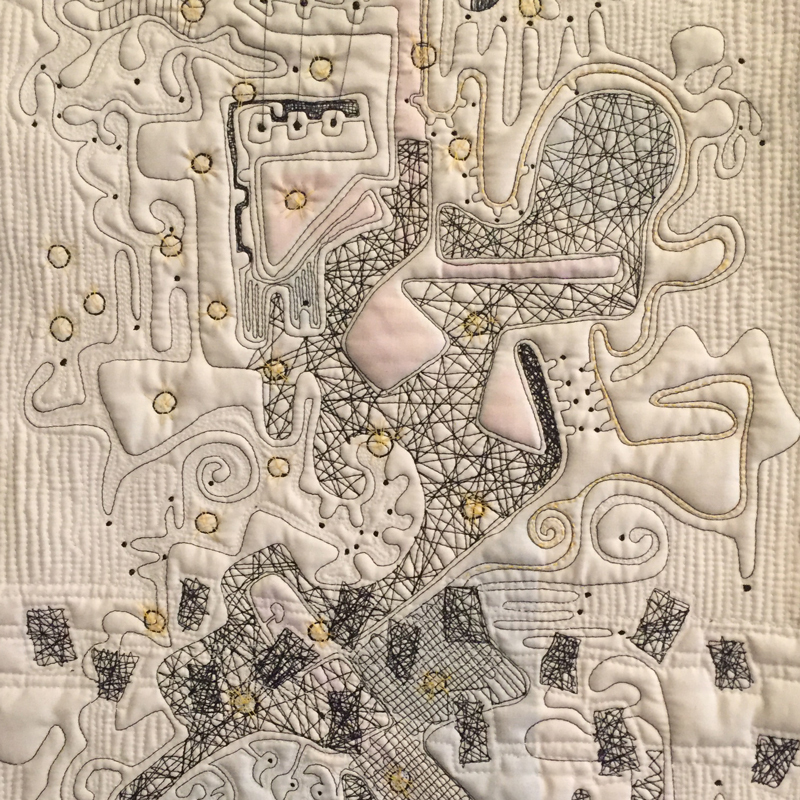 In the past several months I have been actively engaged in planning a festival of quilt art here in Memphis. It has taken more of my attention than I had first assumed. So I haven’t done much work lately. The year of planning is over. The festival opens on May 10. Nervous? Yes. Have I covered all the bases? Have I welcomed as many people as possible into the circle? 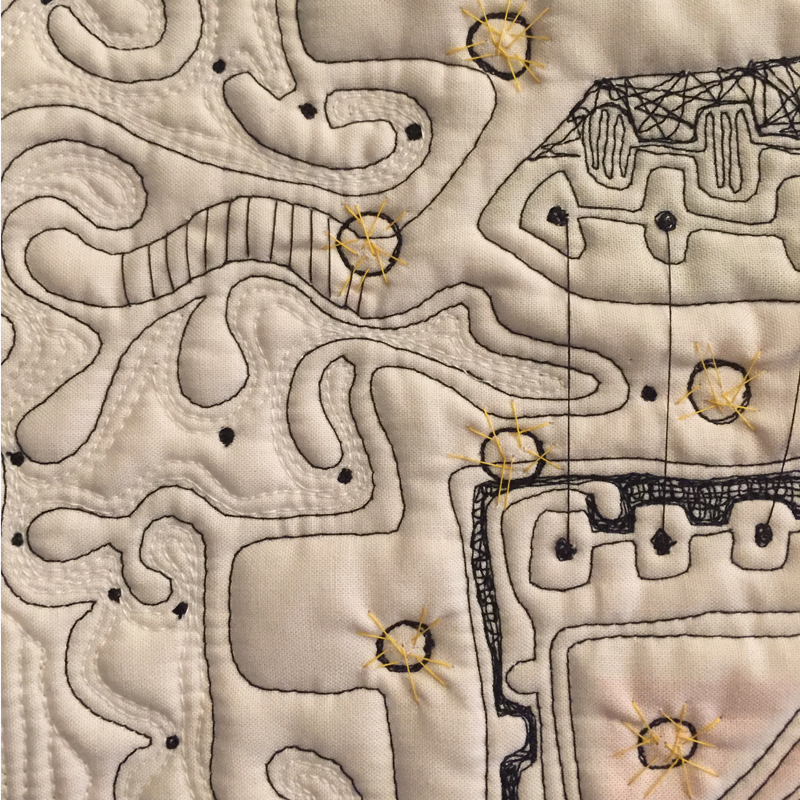 Have I achieved the goal of presenting the ART of quilting to Memphis? Soon we shall see. And, though I have some doubts, worries and regrets, I am also very excited, grateful and motivated. 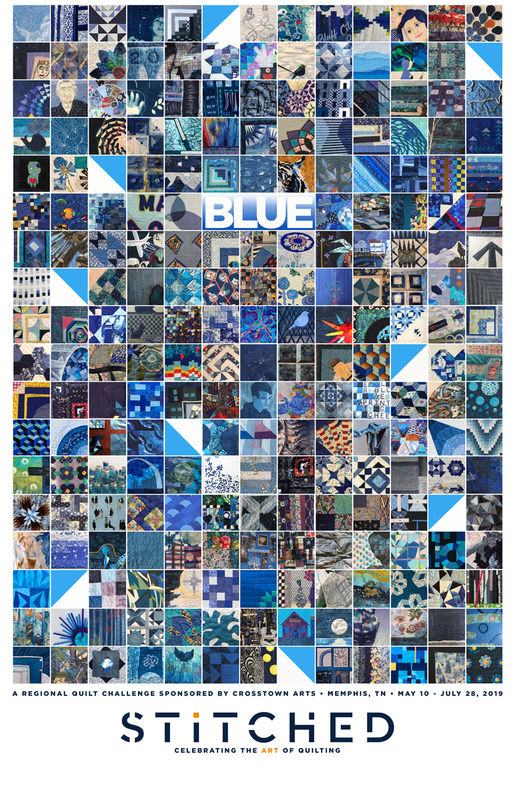 The BLUE show is a regional quilt challenge sponsored by Crosstown Arts. 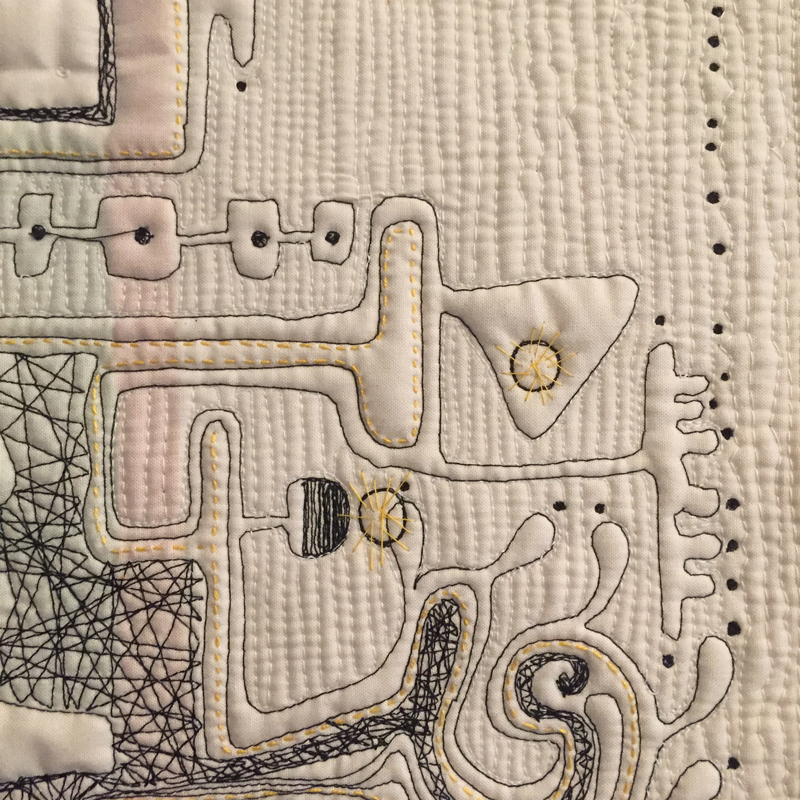 We asked artists, quilters and makers of all sorts to create quilts that are three layers, stitched, 24” x 24” and predominantly blue. 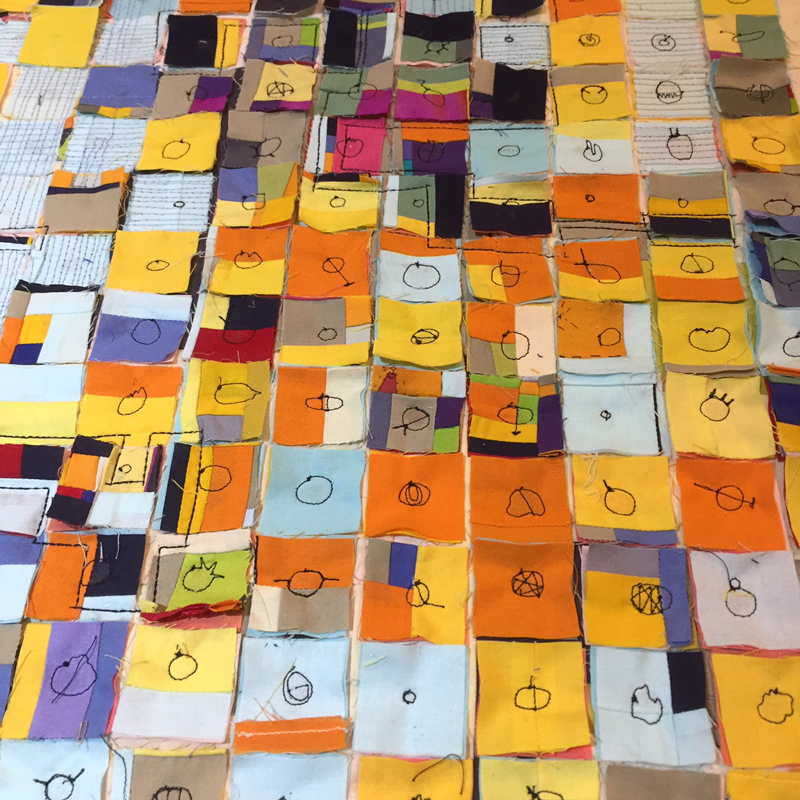 Over 180 people responded with 230 quilts. We have taught children how to quilt. 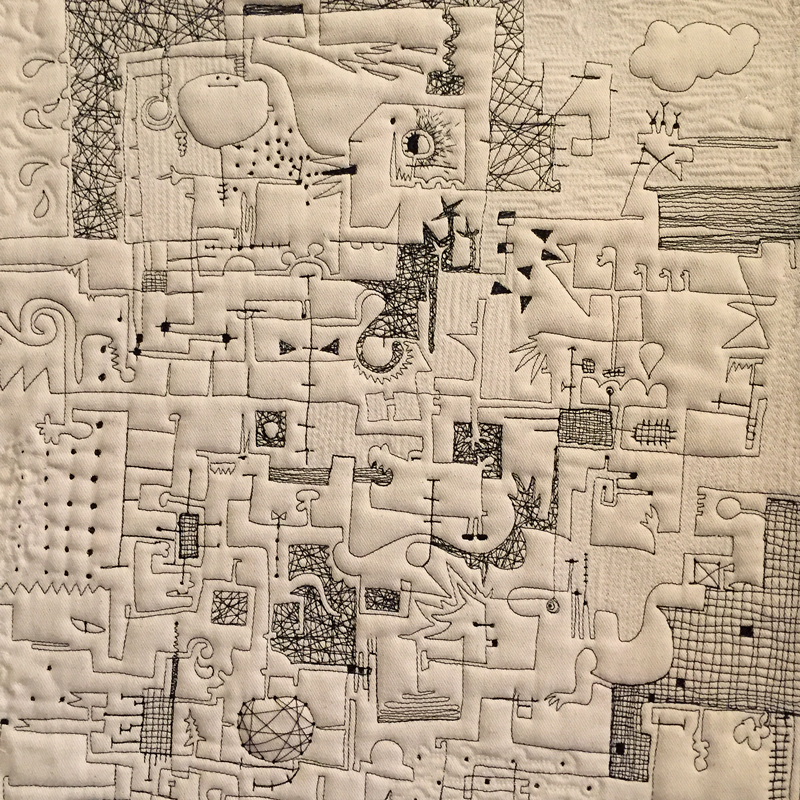 We have invited artists to experiment with the quilt form. 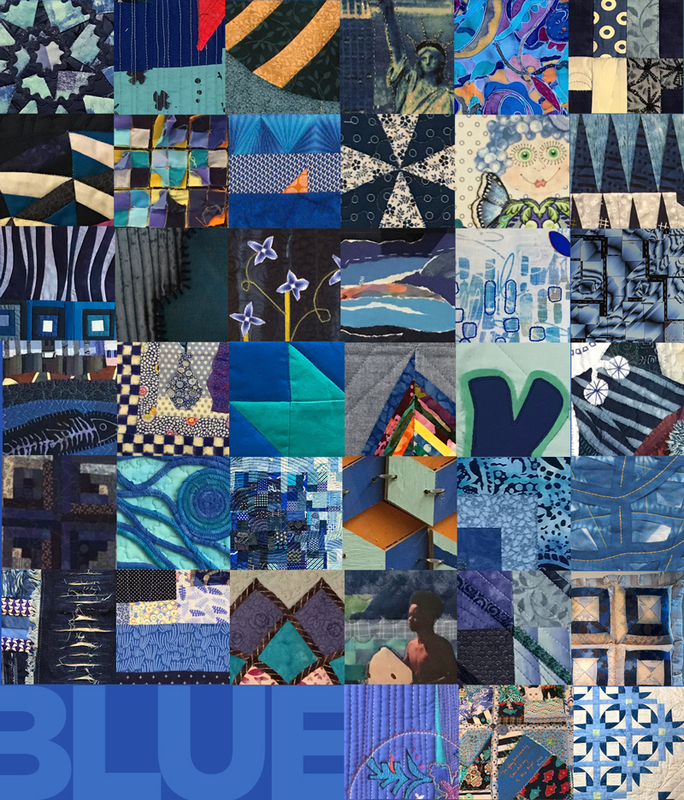 The community has contributed over 230 blue quilts to the BLUE show. Local artist, Greely Myatt, is installing three of his metal quilts in the atrium. 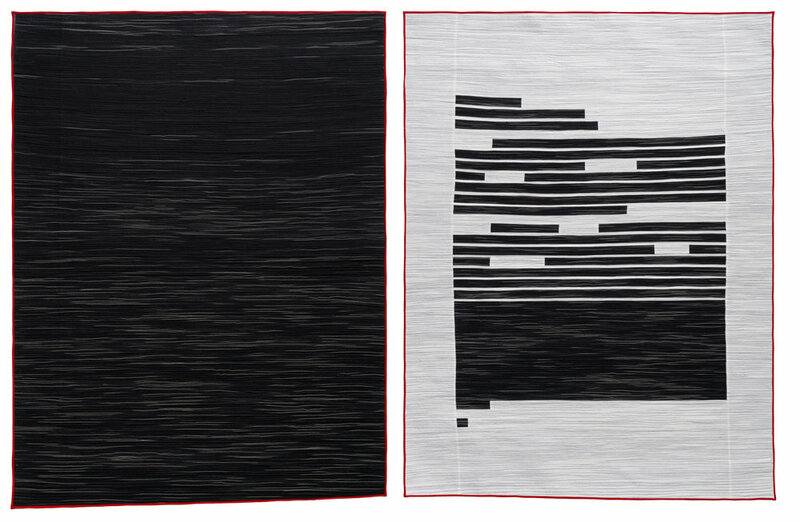 Masterworks: Abstract and Geometric is coming into Memphis for a period of three months. 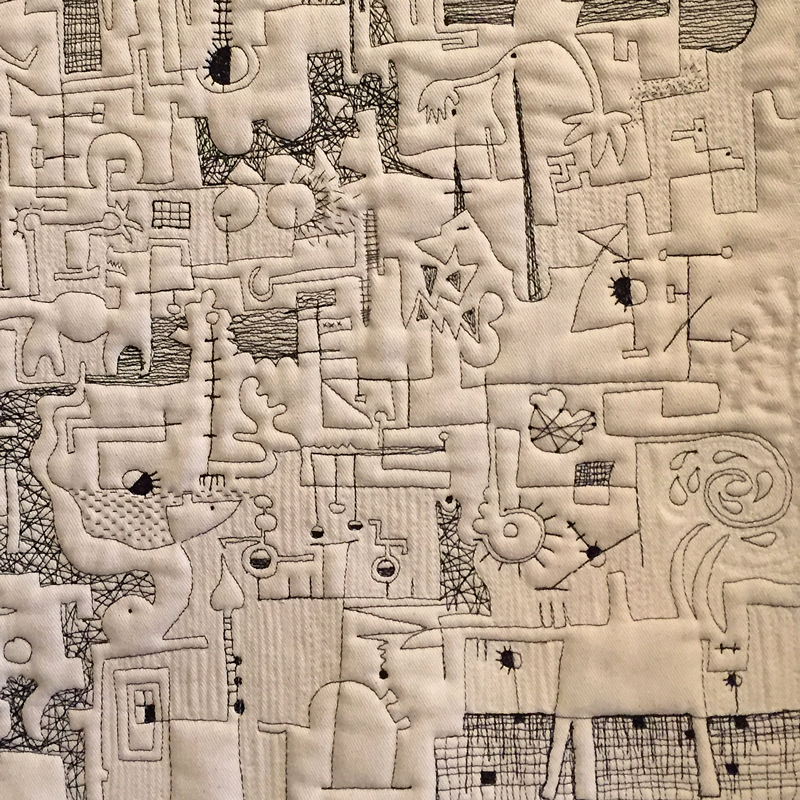 Martha Sielman will introduce an eager audience to the world of art quilts on May 11. A fiber installation from Pat Pauly, Genesee, is being installed in the next two weeks. 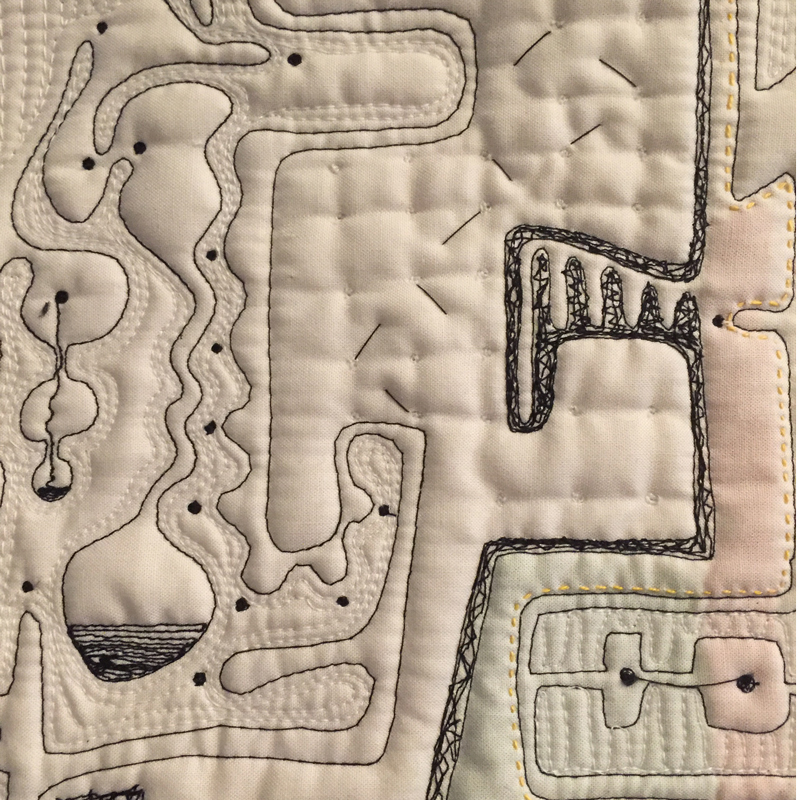 The Memphis Area Modern Quilt Guild has donated a beautiful quilt to a local healthcare provider that focuses on people with limited access to health services. They will include it in their annual fund-raising efforts. We have created a video showing quilt stories and quilting techniques. 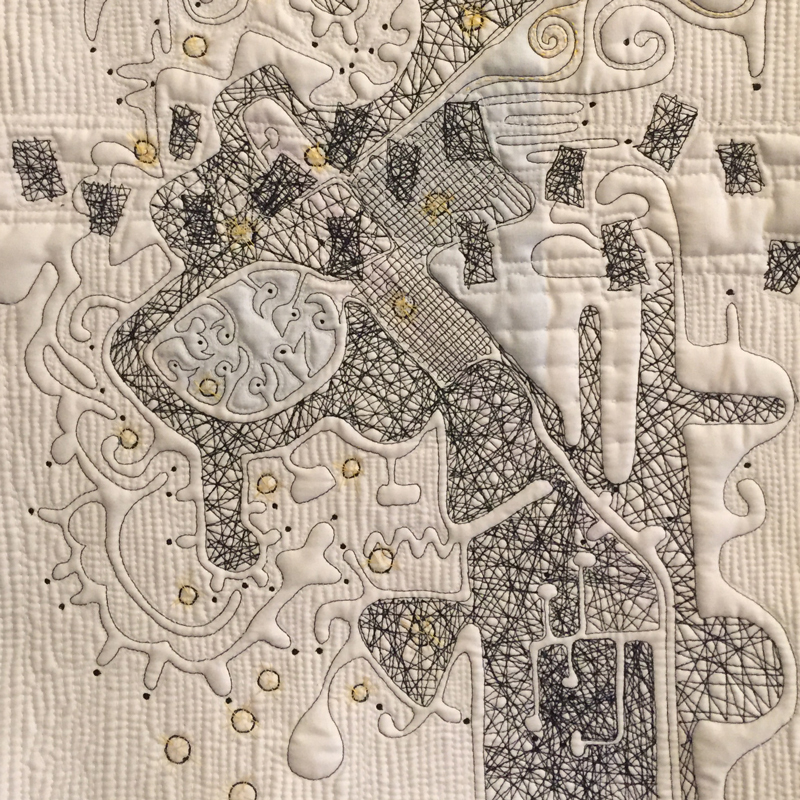 Workshops in May and July will be focused on people who have never quilted before. 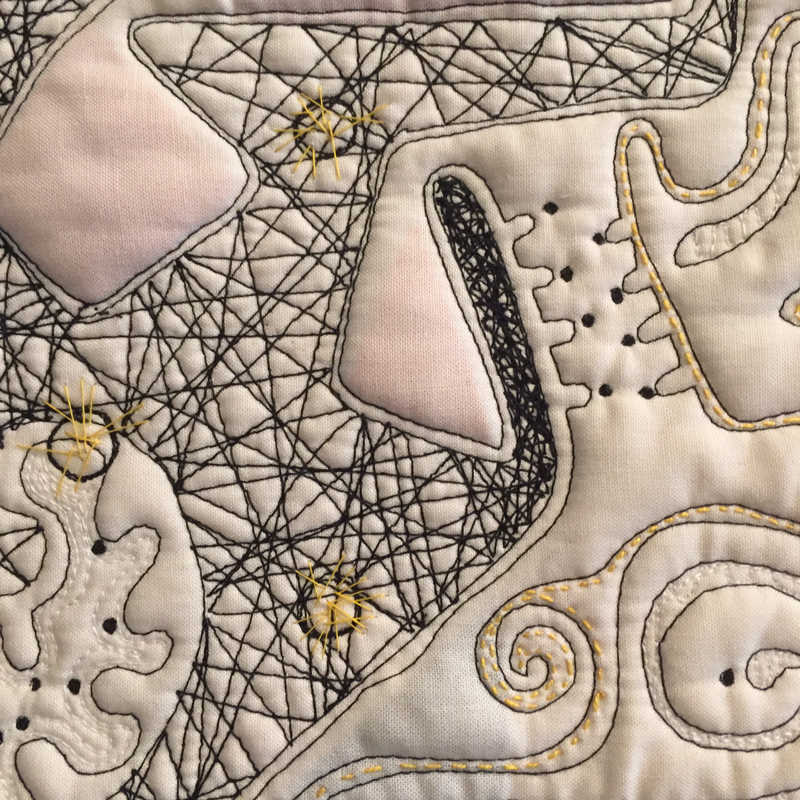 Local guilds and community members will come together on June 8 to share their quilts at the longest Show-and-Tell in history. And, today, the interactive quilt wall will be installed.. 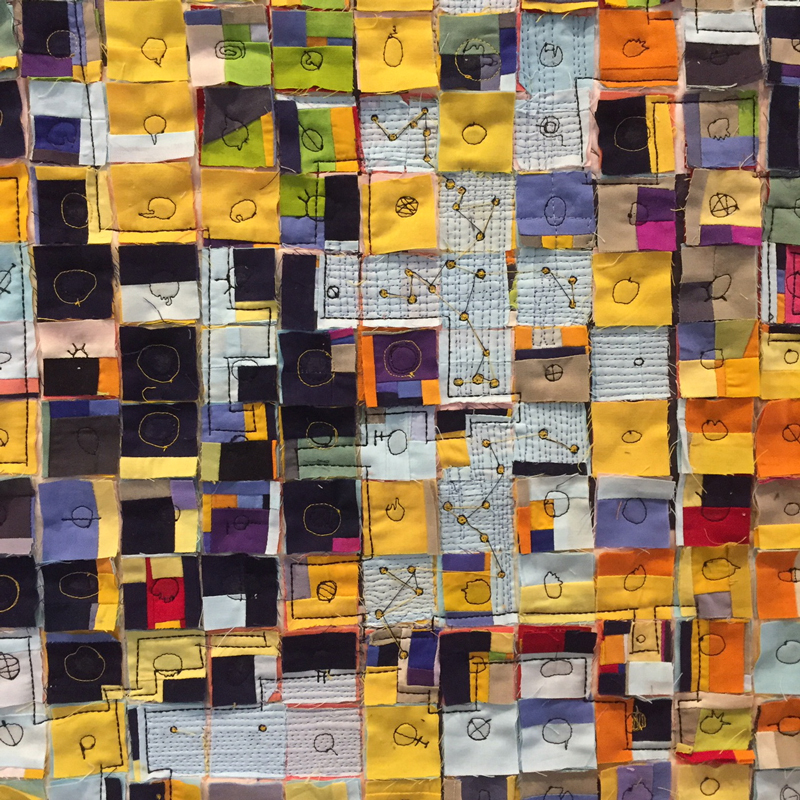 The interactive quilt wall gives people an opportunity to experiment with pattern and color. Each of the 96 squares have magnets on the back of them and can be moved around to create new patterns. It’s been a year of planning, coercing, nail-biting, sourcing, encouraging and teaching. I had some amazing people helping along the way. And now we open on May 10. Only 18 days away. Come to Memphis. 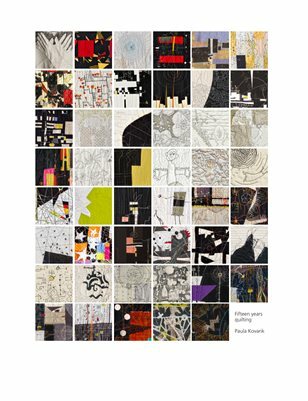 We are celebrating our bicentennial AND the art of quilting. 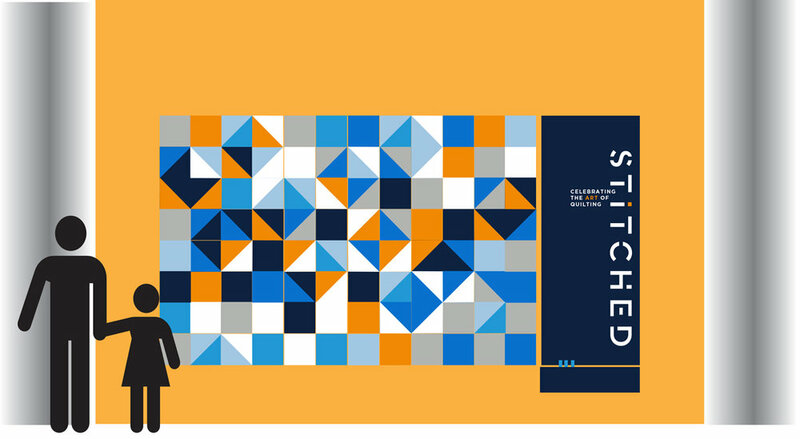 The Stitched festival opens on May 10 and will continue to July 28. If you are here on June 8 bring a quilt to share with our audience! Good food, good music, good people and good quilts. What could be better? And then I can go back to work. I miss that work. Everyday.